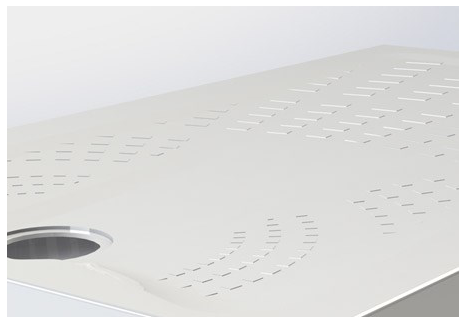 Select the size of Impey Mantis Shower Tray you require from the drop down list shown above and add to basket. The Mantis is supplied with a 3.5m roll of Tiling upstand waterproofing tape and gravity waste outlet (for details, see Related Products section below) . 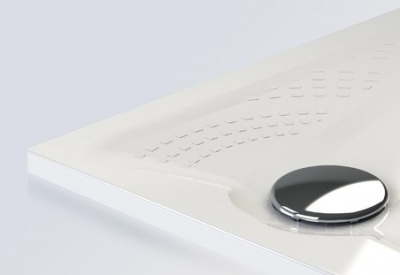 The Impey Mantis Shower tray is the industry’s first ultra slim shower tray and lowest available on the market at only 24mm in height. Developed after direct consultation with Occupational Therapists and Contractors, Mantis offers the perfect solution in situations when a floor former cannot be installed. Mantis can be installed above or below ground to suit specific locations, has a flow rate of 11 litres per minute and is supplied with a tile up-stand and compatible gravity drainage. Mantis has been designed with an easy to clean, slip resistant satin tread pattern that qualifies to DIN 51097 Class 'B' on slip resistance. This provides an increased grip for users in wet, soapy conditions compared to more traditional shower trays. 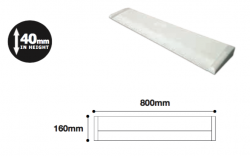 Mantis is available in 7 sizes including 2 bath replacement sizes which can also be cut down to a minimum length of 1400mm with supplied end caps to ensure a perfect fit. Bedding down of the tray is recommended. 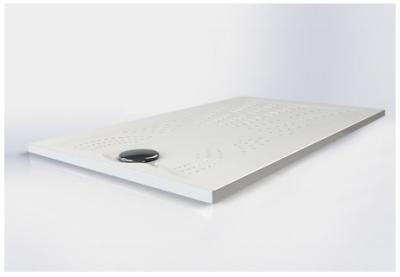 The ultra slim height of only 24mm allows for direct use with a wheelchair. The Mantis tray can be installed above or below ground to suit specific locations and is supplied with a tile upstand and compatible gravity drainage. 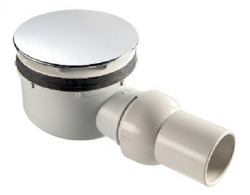 Mantis is available in 12 sizes including 2 Bath replacement sizes which can also be cut down to a minimum length of 1400mm with supplied end caps to ensure a perfect fit. 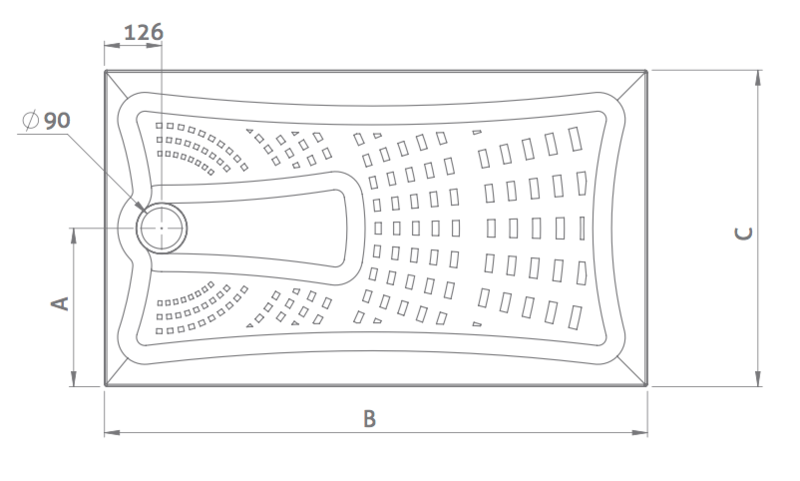 Dimensions and waste positions are given below. 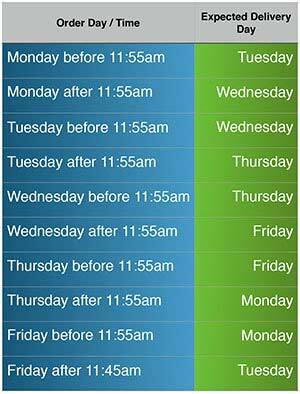 Orders received after 11:15am on a Friday will be processed immediately but you should not expect delivery until the following Tuesday.